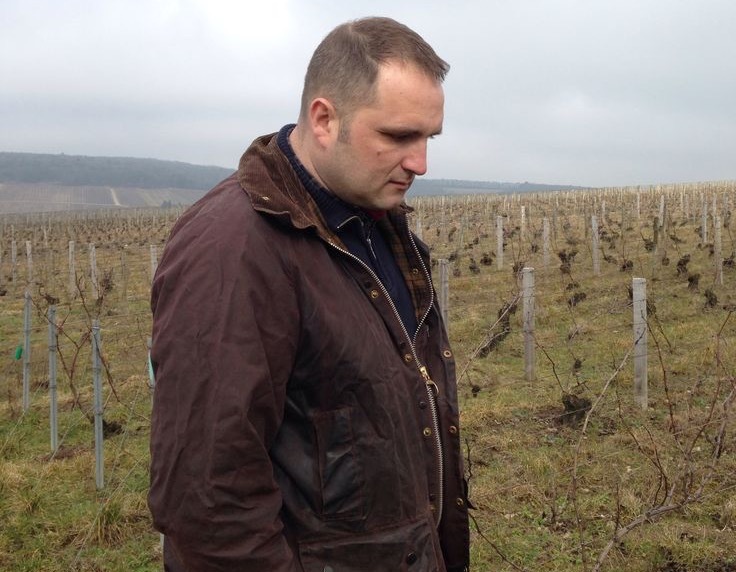 Jérôme Coessens took over the tiny family estate in 2003, and is one of Champagne’s brightest young stars, on the cutting-edge of viticulture and winemaking in Champagne’s southern frontier – the Aube. I first met Jérôme at his winery atop Ville-sur-Arce – a non-descript metal pole-barn that houses his production facilities as well as a large pressing operation for dozens of other vignerons in the village. He makes micro-amounts of wine. Each cuvée is meticulously crafted. These may well be the most intense Champagnes you will ever run across – there’s a purity and precision to his wines, and he’ll tell you that it all stems from his unique vineyard. And I’ll tell you that he’s right. Most Champagne is also a blend of two or more of the Champagne grape varieties (Chardonnay, Pinot Noir and Pinot Meunier). At Coessens, there is only one grape, Pinot Noir. One vineyard, one grape, old vines, and a young vigneron. Put them together and you get the intensely beautiful wines of Champagne Coessens. He calls his vineyard parcel “l’Argillier”, so named due to the high concentration of clay (Argile) in the limestone and chalk-based soils on his hillside. The clay brings a great sense of power and depth to the wines, matched with the bright acidity and richness of fruit. These are serious wines, rich and concentrated, and impeccably made in miniscule quantities.